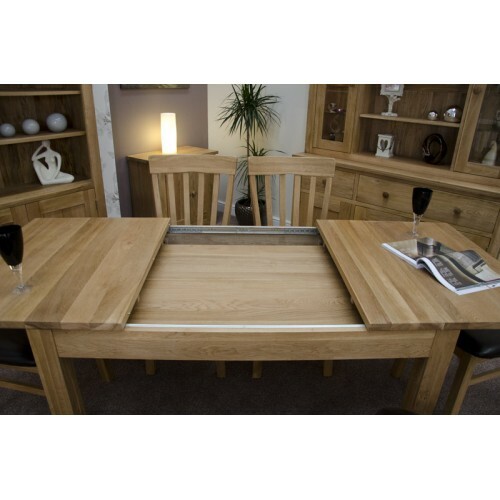 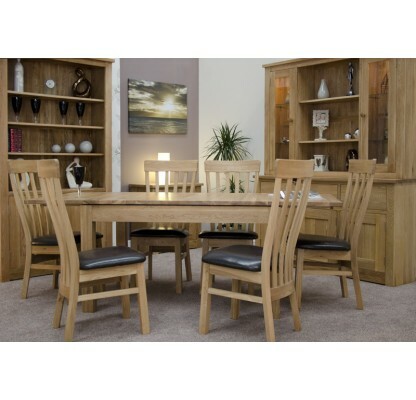 The Opus Modern Oak Twin Leaf Plain Top Extending Dining Table is manufactured to an extremely high standard from only the finest solid European oak. 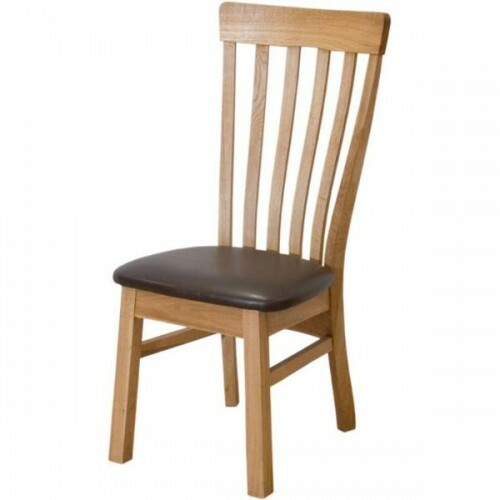 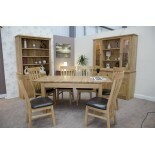 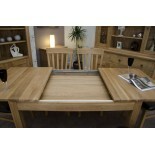 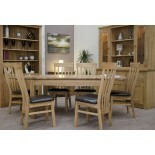 Opus oak dining tables are part of the modern classic range and is our most cost effective range of solid oak furniture. 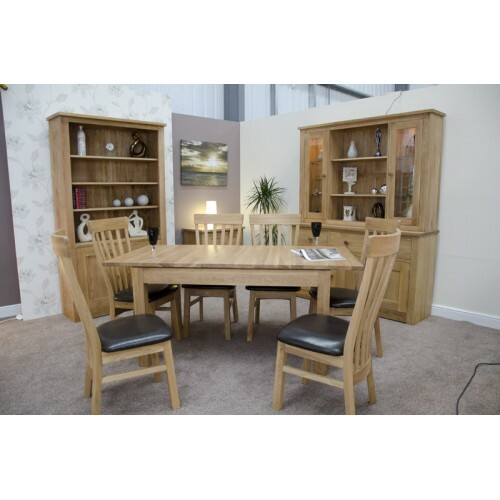 The opus oak range includes furniture for the bedroom, office, living room and dining room. 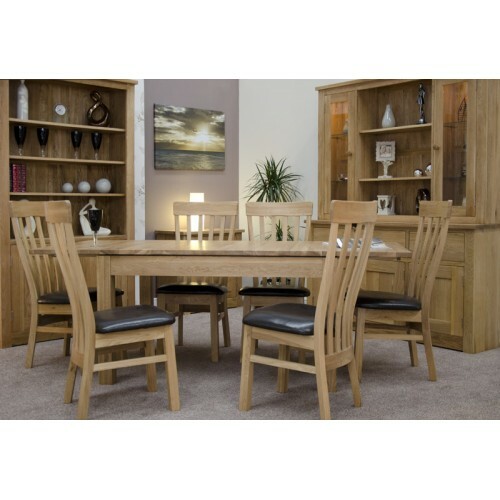 Opus modern oak extending dining tables will compliment most of our solid oak furniture ranges and is delivered part assembled to ensure ease of access to your home.